In addition to its many regular services, the Counseling Center is in the second year of a three-year grant, Buffalo State Cares: A Call for Bystanders to Prevent Suicide on Campus. This year’s award is for $102,000. “All incoming students are required to take Buffalo State Cares online,” said Joan McCool, director of the Counseling Center. The online course discusses how to recognize a person who is at risk of committing suicide, and how to intervene; almost 90 percent of people who participated in the training recommended it to others. “One of the main objectives for Buffalo State Cares has been to make QPR training available to the campus community,” said McCool. QPR—question, persuade, and refer—are the keys to intervening successfully and preventing suicide. The Counseling Center also seeks opportunities to bring QPR training into the classroom. Till’s students shared their insights after completing QPR training. “We learned different steps to prevent suicide,” wrote one. “This training was very helpful in learning the way to talk to individuals who have the potential to commit suicide,” wrote another. According to Substance Abuse and Mental Health Services Administration (SAMHSA), suicide is one of our nation’s greatest public health problems. 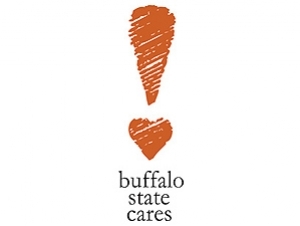 One of this year’s goals for the Buffalo State Cares project is to improve access to emergency care providers at nearby facilities such as the Erie County Medical Center, the Buffalo VA Medical Center, BryLin Hospitals, and Buffalo General. McCool said, “Everyone should be aware that University Police officers are always available, and they are trained in dealing with a mental health crisis.” Crisis Services has a long history of partnership with the Counseling Center. McCool said that students experience depression, anxiety, and stress due to issues including relationships and family, but many don’t seek help. 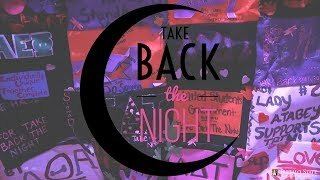 “Students still feel a stigma about mental illness,” she said, “although it’s not as bad as it used to be. We are committed to breaking down all the barriers to getting help.” Those barriers carry a high price tag: nationally, suicide is the second leading cause of death on college campuses. The Buffalo State Cares initiative seeks to reduce stigma, encourage intervention, and urge students to seek help. “No one has to go through a bad period alone,” said McCool. Joan McCool, director of the Counseling Center, is the principal investigator for the grant; Meg Dee, project administrative officer for the Research Foundation at Buffalo State, is program manager. The grant is funded by the Substance Abuse and Mental Health Services Administration (SAMHSA), part of the U.S. Department of Health and Human Services.